Are you experiencing a CRM software failure and need an expert witness? Business systems such as Customer Relationship Management (CRM) software are complex and can fail. When they do it can result in BIG financial losses to your company. If this has happened to you or someone you know, a careful and impartial analysis, forensic investigation and courtroom expert witness testimony can help you answer tough questions. If YOU are experiencing any of the above, you need careful and impartial analysis, forensic investigation and courtroom expert witness testimony to give you answers to your tough questions. Mr. Hilliard has been engaged for counsel by both software users and vendors for assignments involving some of the industry’s largest software developers. In his last CRM case he produced an expert witness report for a Medical Claims Administrator relating to a CRM software package that “CRASHED” several times per day. The case was settled favorably prior to testimony resulting in the plaintiff (the buyer of the CRM software) to be paid a handsome sum of money. This win allowed the company to move on to another CRM solution that worked properly and provides efficient customer relations. and a Certified Computing Professional (CCP). This means Mr. Hilliard knows the intricate details of how complex software programs work and is qualified to give you the answers you need for winning your case. Mr. Hilliard has been engaged for and testified in nearly 100 court cases involving software applications in a wide variety of industries. Issues covered includes software and/or system installation, implementation, customization and modification (particularly for CRM and ERP software), as well as project management, support and other services provided by software firms and independent contractors. Whatever your case, Mr. Hilliard knows how to provide you with the expert witness analysis, investigation and testimony you need to win your case. Mr. Hilliard knows now to review your case and prepare your expert witness reports and testimonies to help you WIN. 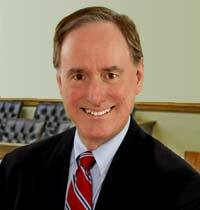 His reports and testimonies have included review of actions by software developer, implementation partner and software licensee; review of electronic discovery; assistance in case strategy; preparation of interrogatories and deposition questions; production of opinion letters and affidavits; deposition testimony, trial testimony and assistance in settlement negotiations, and more.